Home › life › This Playground Isn't For Children. Who It Was Built For Will Amaze You! This Playground Isn't For Children. Who It Was Built For Will Amaze You! A park in Spain is challenging the idea that the elderly aren’t active. With the help of a physical therapist, a new social group has formed at the playground. 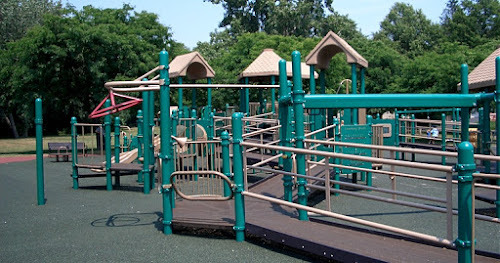 Yes, that kind of playground. A group of elderly people have been routinely spending some much needed social time at the park, getting much needed companionship and exercise. According to some participants, their playtime helps them feel healthier and stronger and has helped them make new friends. They’re encouraged to bring along their grandchildren, as well. No good can come from sitting alone at home day after day. If only we could all grow old so gracefully. Check out these spry old folks in the video below!